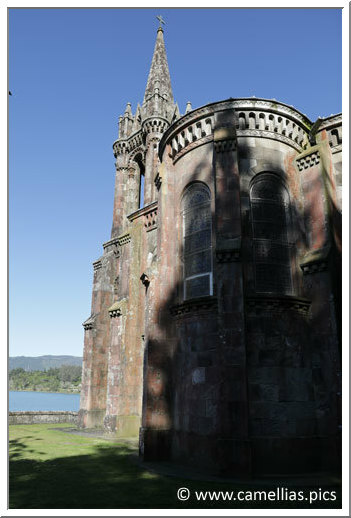 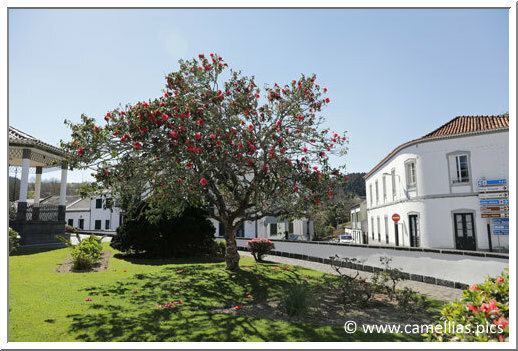 After the visit of the Terra Nostra at Furnas, take a ride in this very pretty city, which reveals some curiosities. 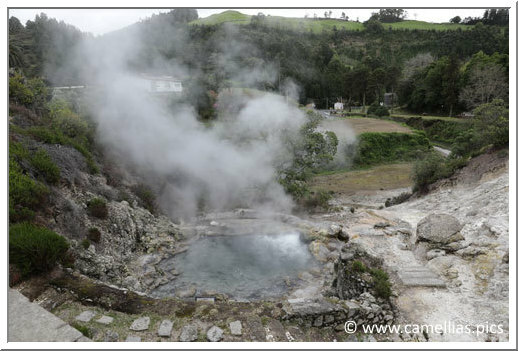 Below, in town, here are the Caldeiras, geyser-shaped of cauldron. 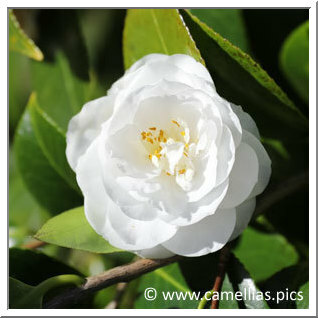 It gives off a strong smell of sulfur. 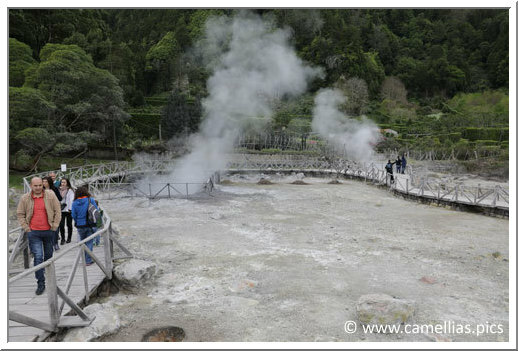 The Val de Furnas has 22 hot springs. 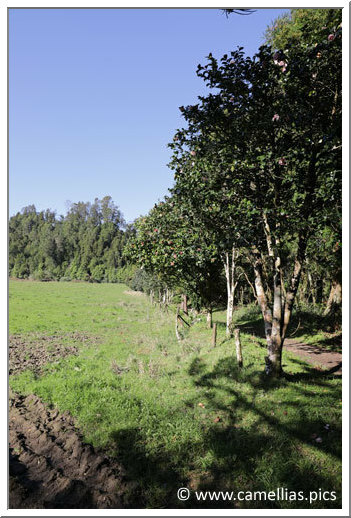 These sources of hot water are reputed to cure many ailments. 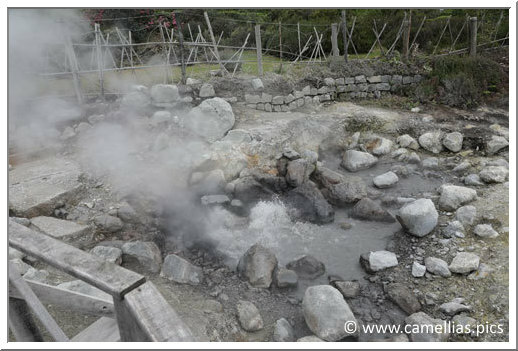 The first thermal establishment dates from the beginning of the 17th century. 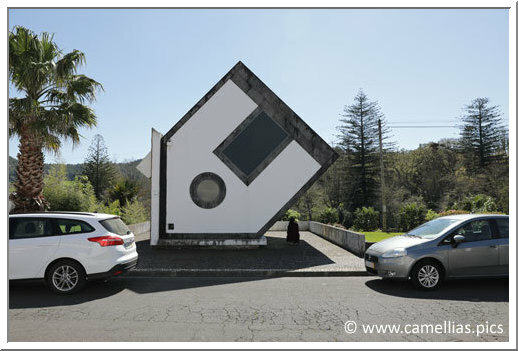 This house is an electric transformer, it is a curiosity of Furnas. 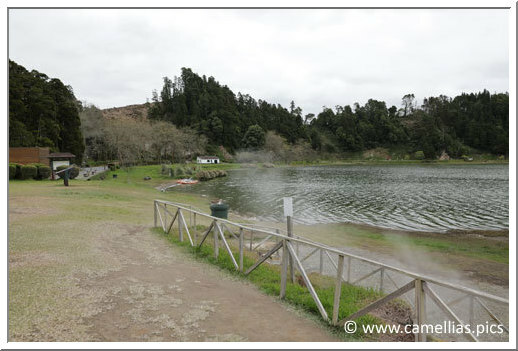 When leaving Furnas, stop at Fumarolas da Lagoa das Furnas. 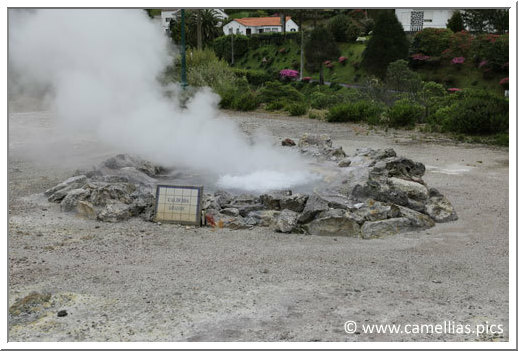 They are small fumaroles, as in town, but on the edge of Lagoa de Furnas. 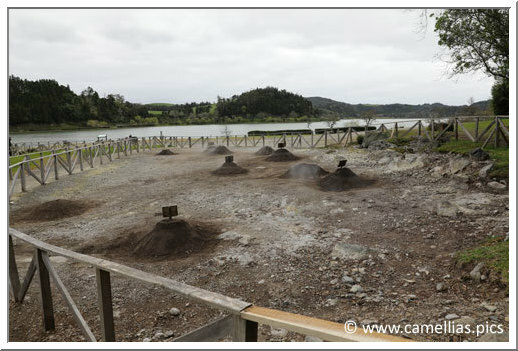 These mounds house pots where the Cozido, the local stew, are cooked. 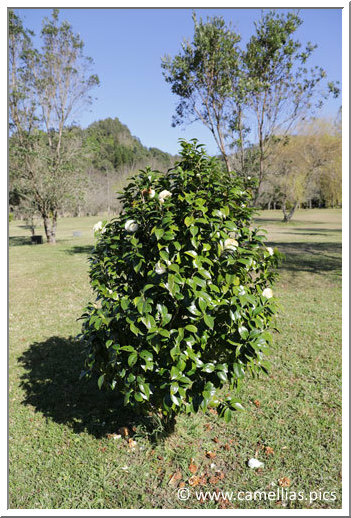 It is steamed in a cavity dug in the ground. 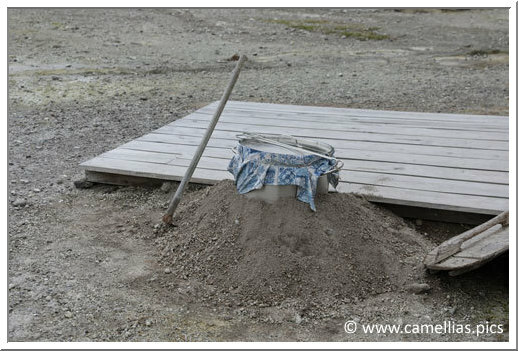 Just bury the pot, simmer and dig up to taste the dish. 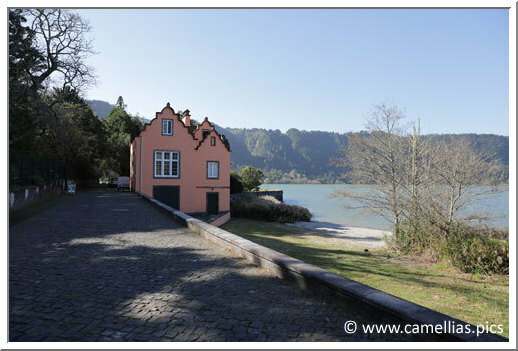 Some Furnas restaurants serve it, but you have to book. 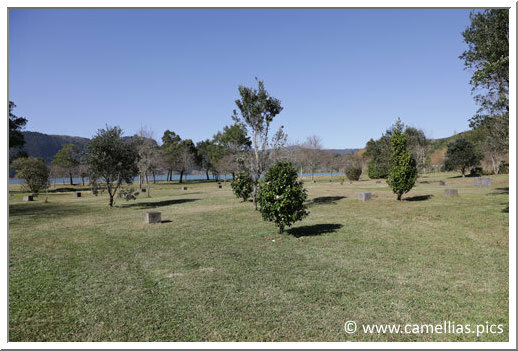 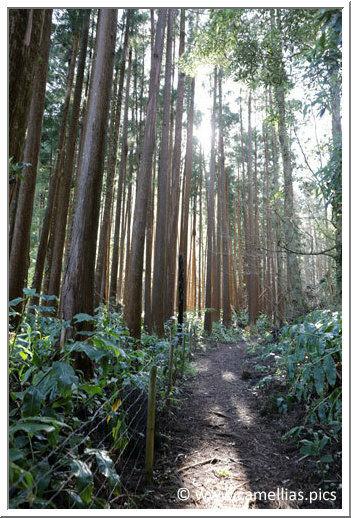 On the way to or from Furnas, take a break to visit the Mata Jardim José do Canto . 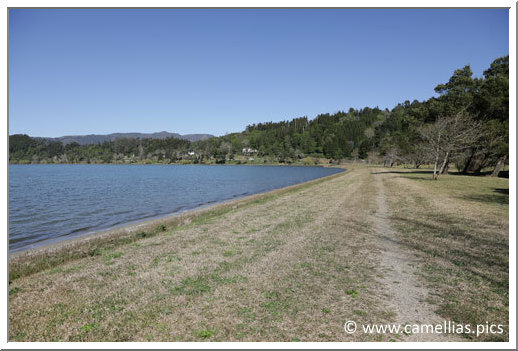 After parking in front of the driveway, leads to the garden, admire the great topics that we find on the edge of the lake. 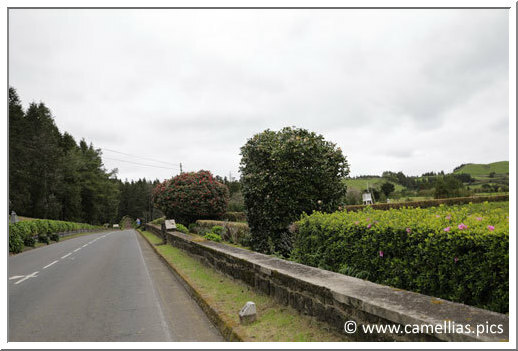 There are also more recent plantations. 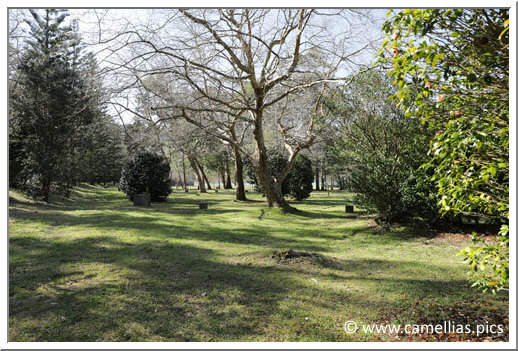 This park was created in the middle of the 19th century. 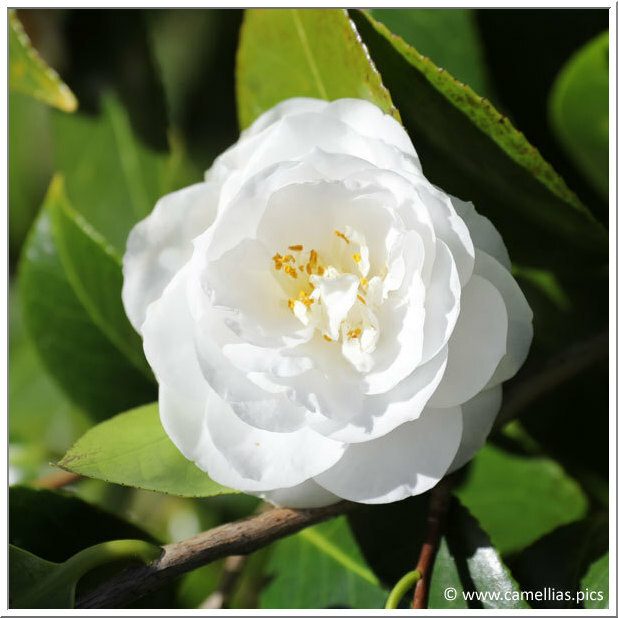 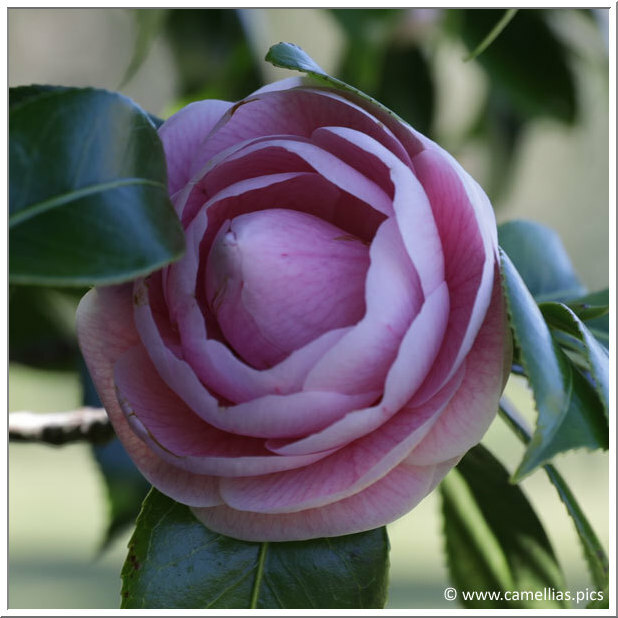 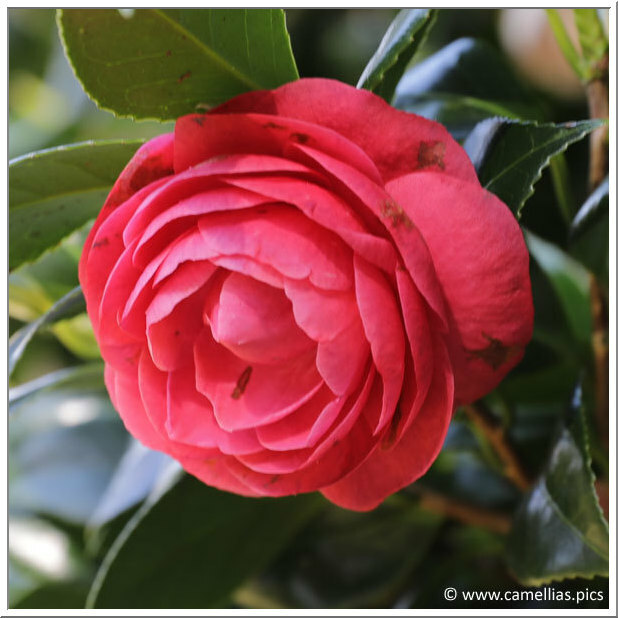 Paths are surrounded by more than 1400 camellias, some of which have were planted by José do Canto himself. 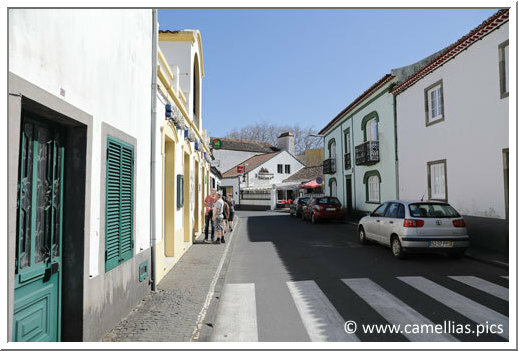 Below the Casa dos Barcos, where you can rent bedrooms. 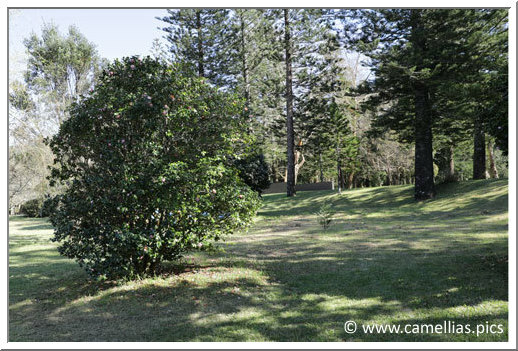 We arrive at the entrance of the Jardim. 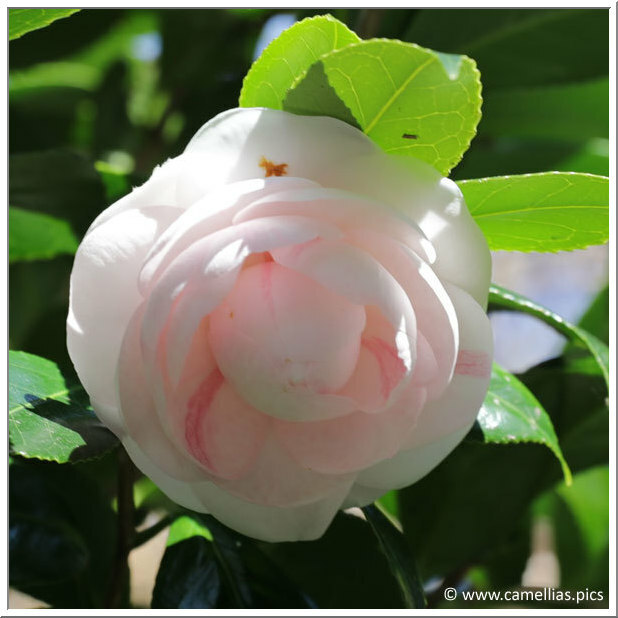 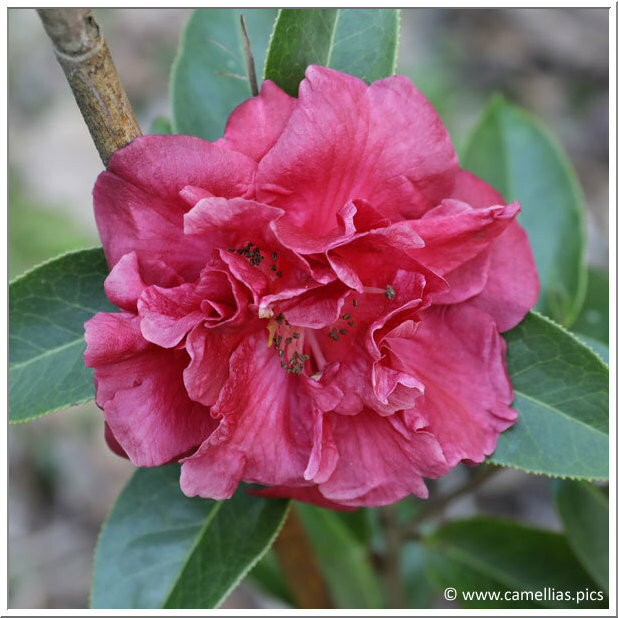 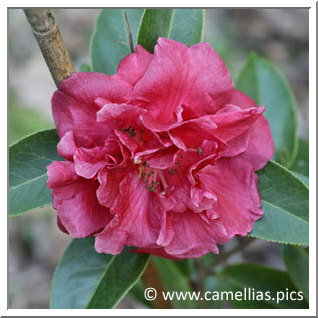 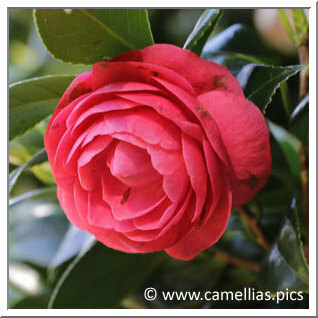 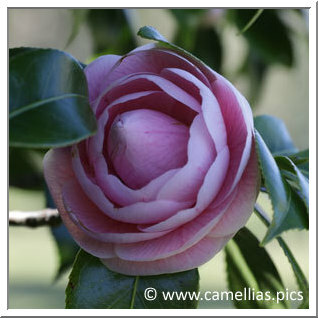 We begin the walk in the middle of camellias. 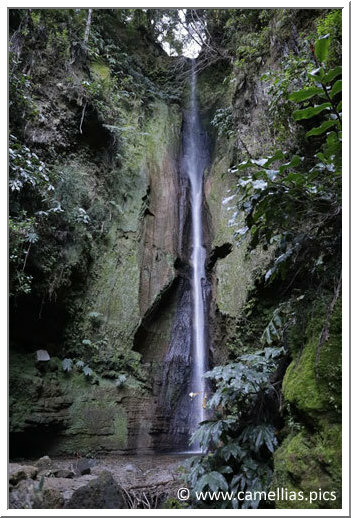 The walk continues to the Salto do Rosal waterfall. 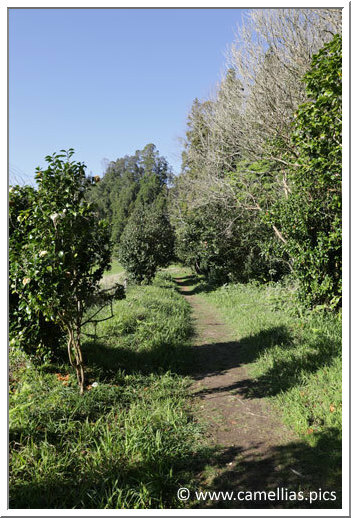 Then we retrace our steps to join the entrance of them Jardim. 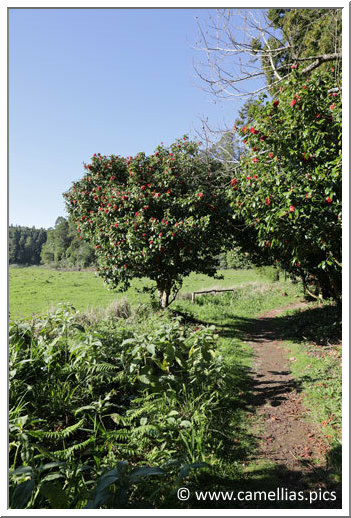 More visits in the Azores.